A full day tour of Musandam peninsula is an excellent day out for tourists as well as the residents in DUbai Sharjah Ajman or Abu Dhabi. Exotic Dubai offers Musandam Cruise tour with its Omani partner operator. 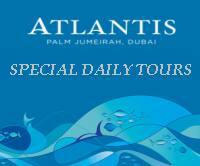 Our Musandam tour is available every day and we pick you up from any hotel or residence in Dubai Ajman or Sharjah. at about 10Am and drive you on the road to Ras Alkhaima. You will have views of the Arabian dunes and beautiful Hajar Mountain. In Diba you will board on our traditional Dhow boat which will sail along the Coastline of Musandam. To welcome you onboard the staff of the dhow cruise will serve you special Arabic coffee and soft drinks, As the dhow sails you can relax and sunbath on board and watch magnificent white and salty mountains of the coast. You will also pass by the natural beautiful carved caves, through the deserted Haffa village and Ziggy beaches. Child cost US$ 68.00 per child under 10 years of age. Pick up & drop back to and fro your hotel. Musandam is an area of Oman which is further down Ras Al Khaimah and Fujairah. Musandam is a peninsula and has a small population of 24,000 residents mainly residing at Kasab and other smaller regional centres. Kasab overlooks the straits of Hormuz that divides Iran and Musandam. One needs a visa to go to Musandam. Visitors from over 40 developed countries can obtain a visa on arrival and most of them use UAE as a transit point. Resident visa holders of UAE can travel to Musandam via Rak or Fujairah. It is about 60 Kms from RAK border and therefore a tank full of fuel will be sufficient for a round trip. Musandam mountains have housed extremely isolated communities for centuries and many coastal villages can only be reached by boat. The population of approximately 29,000 is concentrated in the capital Khasab in the north, and the small port town of Dibba on the east coast.